1. Play a game of fetch. 3. Play hide and seek. 4. Obstacle courses are fun for all. 5. Have your kid teach your dog some tricks. 6. Play a sport together. 7. Go for a swim together. 9. Just horse around together! Do you have both a “fur-baby” and a child of the human sort? If so, you probably have your hands full. My sister’s son entertains me often with his silly antics, but I’m always pretty glad to be getting back to just enjoying Janice and Leroy. 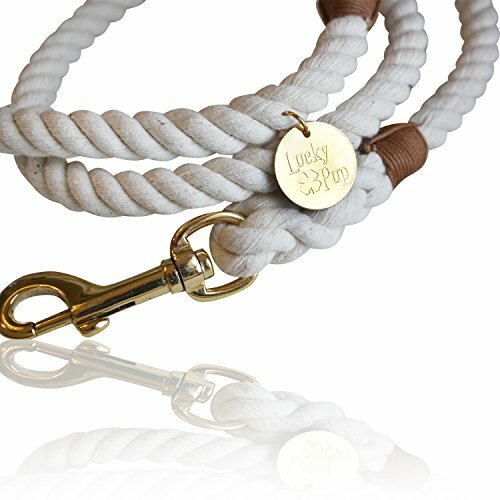 If you do have kids and a dog, it makes for a fantastic combination if you do it right. Dogs need exercise, kids need exercise, both get bored – a match made in heaven! And as someone who grew up with a trusty dog friend, I think it’s a great idea to give your kids a dog. But one thing that many parents and dog owners want to know is how to find activities that their kids and dogs can do together. You want to make sure they are both safe, and you want to keep them busy. You also want to make sure it’s an activity that will keep them both happy and entertained, while fostering a great relationship. That’s a lot to expect from one little activity! Here are some great ideas for things that kids and dogs can do together. Unless your dog is huge and your child is a toddler, or your dog gets aggressive when bringing the ball back, this is probably the best game that kids and dogs can play together. It doesn’t take any special skill to throw a ball for a dog to chase, and both the kids and the dogs usually adore this game. Both kids and dogs love chase, so it’s just a natural choice. The game is usually safe, except for two things I mentioned above. If you have a huge dog and a small child, they could barrel your child over when they run back with the ball. Teach your dog to stop and drop the ball a few feet away during fetch if this is the case. 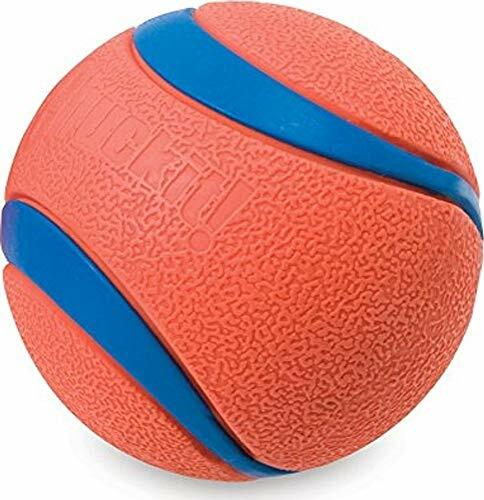 Another issue could be a dog that wants you to “wrestle” the ball away from them when they bring it back. A child could accidentally get bitten in this game, so be sure to only allow this game with an older child, such a teen, if your dog has this habit. Dogs love to chase and “eat” bubbles. Kids love to blow bubbles. It’s the perfect match! This is great for helping smaller kids play with a dog. All they need to be able to do is blow bubbles, and since the wind carries the bubbles away from the kid, you don’t have to worry too much about the dog jumping on your child. 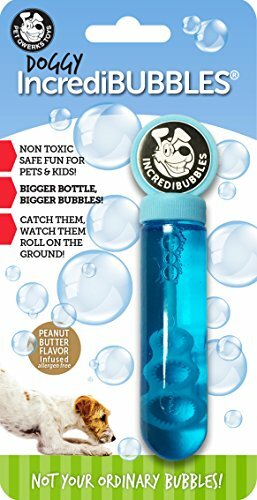 You can even find special bubbles that are flavored for dogs to encourage this game! If your child can’t quite blow bubbles yet, consider getting them a bubble gun. This will be perfect for helping them play with the dog. Just be sure they know not to blow bubbles into the dog’s face, and you’ll be good to go. Some dogs were made to play hide and seek. Beagles are a great example – their sociable natures and their great sniffers have them constantly looking for you. They will take to hide and seek quickly without much training, and there are many other dogs that will do the same. Kids, on the other hand, love to hide and be found, so here’s another great match! Have the dog sit in the living room, or in some area, and tell the kids to run and hide. Have the dog stay, then tell them to go find the kids. Once the kids hear this command, they should start calling the dog to them. The dog will then go looking for the kids. Make sure the kids give the dog lots of praise and maybe even a treat when they are found – this will reinforce the game. You know who loves obstacle courses? Kids. You know who else loves obstacle courses? Dogs! Yet another great match. Dogs love to run, and putting up some things for them to jump over, crawl under, race around, and navigate, can make their exercise even more fun. Kids like the same thing. Why not set up a pair of identical obstacle courses with hurdles, tunnels, see-saw bridges, or other obstacles, and challenge the kids to race the dog? If you have an older child who is capable of understanding the ideas of consistency and patience, having them teach a dog tricks, is a great way for them to spend time together. If your dog knows sit and stay, they can learn a ton of tricks! Shake or High Five (essentially the same thing for a dog, just lifting their paw for either a touch or a shake) is a popular option for kids. Put the dog in the sit position, and grab their paw and say the command. 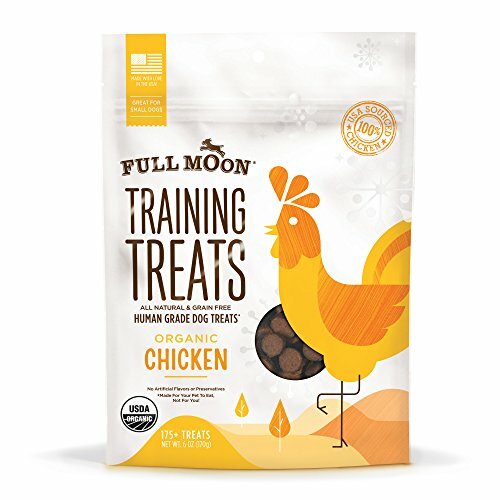 Give them a treat right away. Keep doing this, and eventually the dog will start lifting the paw on the command. Kids can also try to teach a dog to roll over, dance, or give a kiss. Because kids are often more patient and willing to do silly things, like roll over themselves to demonstrate, they usually have a great time with this activity. Your dog is getting great mental stimulation as well. This can be done with older dogs – older dogs can definitely learn new tricks! So if you have a senior dog and a middle-aged to teen-aged child, pair them up for some cool trick training. Some dogs do have the ability to interact with kids while they play a sport. If you have large, sturdy teenagers that don’t mind the possibility of being knocked down, a dog can play a game of football, for example. Another good idea is soccer. If your kid likes to play soccer, they can practice their footwork around the dog as the dog tries to get the ball. Dogs can even learn to “kick” the ball with their noses into the goal. What if your kid is into more solitary sports like cross country? That’s even better! Your dog can go on runs or hikes with your child, which keeps them company, offers them a challenge and accountability buddy, and gets them both some exercise. They can cool off together with a nice long walk. Just be sure to get a leash that your child can use easily while running. Lots of dogs love to swim, and lots of kids love to swim. Are you starting to see a pattern here? 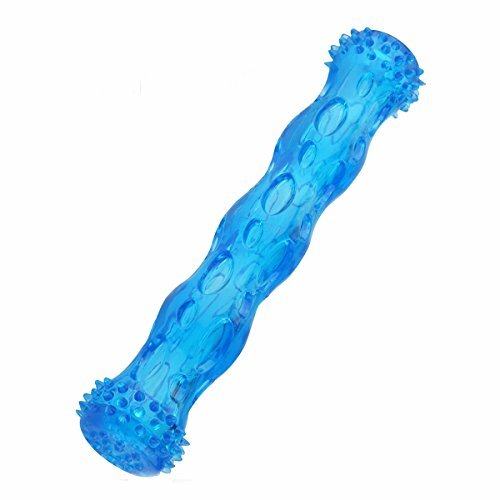 Dogs that like to swim will probably love a game of aquatic fetch. Toss a floating toy into the water, and let the dog leap off the dock to go after it. Challenge them to a race and have the kids race after the toy too. Just be sure to have an adult on duty in case the kids and dogs get tangled up. Another great thing that kids and dogs can do is just go exploring. This is what my dog Jake and I did when I was a kid. I’d get home from school, lose the school bag and uncomfortable shoes, and head out to explore the woods behind our house. Jake would follow me over stumps, across creeks, and sit patiently below trees while I climbed. Sometimes he would find cool things to check out, and sometimes he’d just follow me, listening to my woes or big ideas. It was a wonderful way to grow up. The best option for this is if you have a large property that is fenced in. That way, you don’t have to worry about your kids or your dog getting too far from home. However, you can use the same idea to explore a local hiking trail or a nearby national park. Just be sure to supervise in these public areas. As kids are growing, one thing they are developing is what is called “physical literacy”. This means the ability to quickly adapt to unpredictable movements, react to fast movements, balance and move with confidence, and just generally be more agile and athletic. Playing with a puppy is a great way to develop these skills, because puppies are unpredictable. They run, twist, turn, leap, wiggle, and do all kinds of things. Your kid will have to think on their feet to keep up, and that’s great for their development. So let the kids and the dog “horse around”, and know that you’re doing something great for the both of them. Be sure that your kids know to respect a dog’s space. If a dog is showing signs that they want to be given space – such as moving away from the play, growling, getting very still and staring a child down, shaking, hiding, and so on – then the kid needs to back off. Dogs only know one way to “protect” themselves if their first signals aren’t respected, and that’s with their teeth. Be sure that kids know not to take toys away from a dog that loves their toys. Dogs can get possessive at the weirdest moments, and it’s not a good idea to push the boundaries when it comes to the safety of children. Make it a rule to not touch a toy a dog is playing with. Wait for them to drop it or bring it to you before you try to touch it. Make sure your child knows the basics of dog body language. If they see teeth, or the dog is running away without a wagging tail, they don’t want to play. Make sure your dog is very well trained and well socialized before you allow your kids to play with your dog. It’s your responsibility as the parent and the dog owner to keep both parties safe. Your dog should know the basic commands – sit, stay, heel, and get down, for example – before you allow them to play with young children. Be sure to reward your dog if they play nicely with your child. After a good hard play time session, give them attention and praise. If they learn to associate playing well with the kids, with your attention, they’ll actively seek out this time, which is sure to make your child feel good. Keep an eye on the games – but let them have fun. Playing with a dog is sure to result in some falling over, some getting dirty, and some slobber. As long as both parties are safe and not hurt, try not to break up the fun. You want to encourage this behavior in both your kids and your dog, so let them have their fun. They can always get cleaned up later, and you’ll reap the benefits when they both sleep like babies later. I truly can’t think of any way I would rather grow up than the way I did, with Jake. My sister says she can’t really remember any memories of me as a kid without Jake by my side – he was sort of like another sibling to us. Through playing with him, I became a pretty confident and scrappy person that likes to explore and have fun – and I think that’s what many parents want for their children. Plus, Jake got to live out his life going for long walks, lots of adventures, and having tons of fun. It was a win-win for both of us. I know that Janice and Leroy love to play with my nephew when he’s around for the same reason.